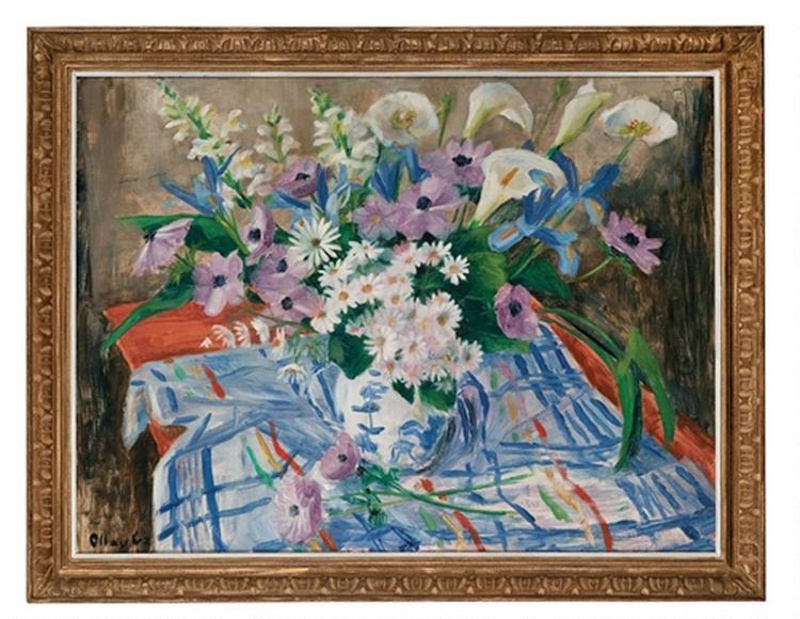 The Margaret Olley Art Trust is sponsoring an illustrated database of Olley’s oeuvre. 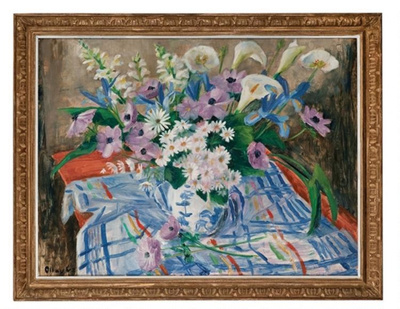 The project is being coordinated by Glenn R Cooke, the former Research Curator at the Queensland Art Gallery and is based on the listing he provided of the works exhibited during her lifetime. These exhibition details have expanded with images of her paintings from her archives and those from Philip Bacon Galleries. The web has also been accessed for works in public collections, auction records and dealer galleries to establish a visual record of her career and works. These images also include scans from catalogues, photographs and colour transparencies of varying qualities so the clarity of the image and colour balance may be quite discrepant: that is not an issue as the point of the exercise is identification, not reproduction. The quality of the images may be improved as they become available. This is a working document and there are many records for which, especially in the early years, information is incomplete. There are problems with identification of individual paintings: dimensions are not given in early exhibition catalogues; from the mid 1970s Olley ceased dating her works and there are many works in her output which were never exhibited. Titles are especially problematic. Olley used the same subject or setting on many occasions, the titles that Olley gave to her paintings are not very specific and became repetitive over the decades. Titles have been mis-remembered so dealers and auction houses have added their own variations. No doubt there are also inaccuracies in the database at present . . . your contributions will improve the record for all. The Margaret Olley Art Trust would appreciate the support of Olley’s many collectors to extend and develop the project. Please email details of the work by Olley in your possession including: a digital image, title, inscriptions, dimensions, the known provenance and location to: theolleyproject@gmail.com. Please be advised also that current ownership details will simply be recorded as eg. : ‘Private collection, Sydney’. If you wish to discover the financial value of Olley’s work you will need to consult a dealer or access current Australia art auction databases. The database provides an additional resource for the Margaret Olley Art Centre, Tweed Regional Gallery, Murwillumbah. We appreciate your interest in the significant contribution that Margaret Olley has made to art, the appreciation of art, and patronage during her long and productive lifetime. "basket of lemons" duxford "elizabeth bay" games "margaret olley" media pablo picasso "pineapples flowers and pears margaret olley" pug "pug dog by margaret olley" "the charles sturt university art collection"